Refresh your creative energy, build motivation, and express your emotions in a healthy, positive manner. 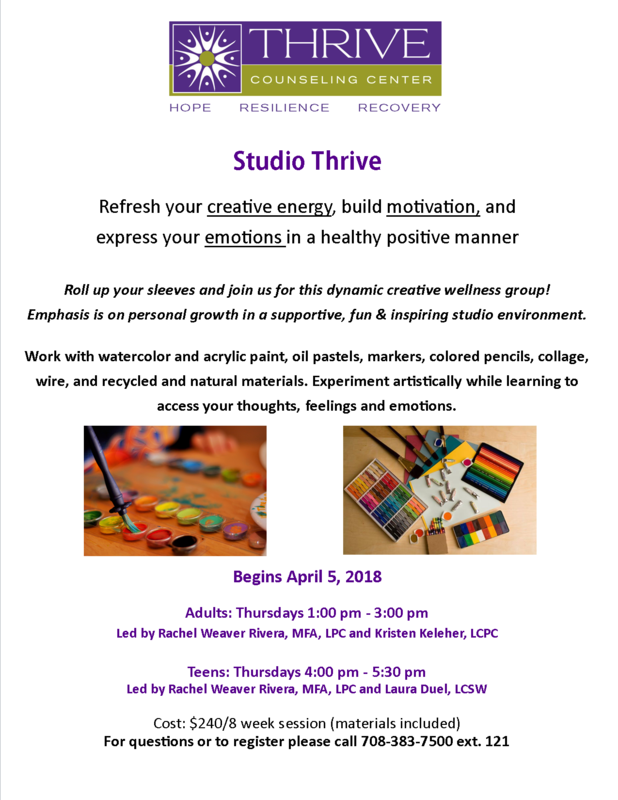 Roll up your sleeves and join us for this dynamic creative wellness group! Emphasis is on personal growth in a supportive, fun & inspiring studio environment. Work with watercolor and acrylic paint, oil pastels, markers, colored pencils, collage, wire, and recycled and natural materials. Experiment artistically while learning to access your thoughts, feelings and emotions. ← 2018 Spring Benefit-Save the Date!